SORRY was always a big hit in our home. 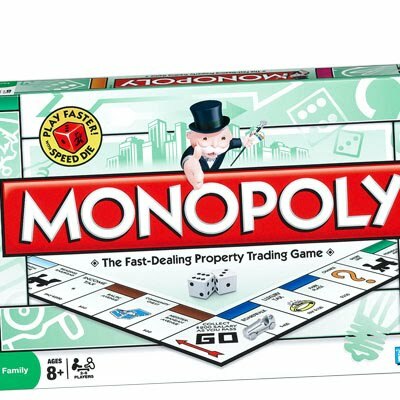 I LOVE Board games..Our faves were PayDay, Monopoly and Clue! We like to play The Game of Life as a family! Our favorite game to play is Apples to Apples. When the kids were younger, we played the Jr. version of the game (fast oatmeal will live on in our family history), and now we play the adult version. Loved playing Monopoly and Candyland. Candyland is a hit at our house right now. We love monopoly another one we play alot is Clue. Right now we're digging Chutes & Ladders. We LOVE monopoly and own the Star Wars version and the Disney version.... and do not have the original! LOL We also love scrabble and yahtzee. We love playing Monopoly as a family, so that would have to be our favorite board game. That and we play Domino's quite a bit.